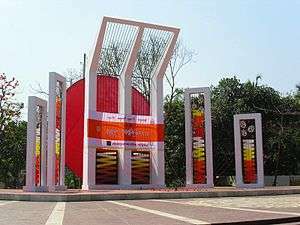 The Urdu movement was a socio-political movement aimed at making Urdu the universal language and symbol of the cultural and political identity of the Muslim communities of the South Asia during the British Raj. 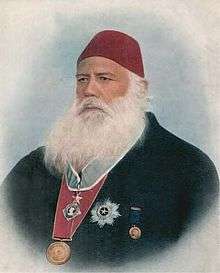 The movement began with the fall of the Mughal Empire in the mid-19th century, fueled by the Aligarh Movement of Sir Syed Ahmed Khan. 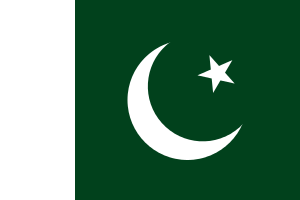 It strongly influenced the All India Muslim League and the Pakistan movement. 1 2 3 4 5 6 7 8 R. Upadhyay. "Urdu Controversy - is dividing the nation further.". South Asia Analysis Group. Archived from the original (PHP) on 2007-03-11. Retrieved 2006-10-15. ↑ R. Upadhyay. "Indian Muslims - under siege?". South Asia Analysis Group. Archived from the original (PHP) on 2006-10-02. Retrieved 2006-10-19. ↑ R. C. Majumdar (1969). Struggle for Freedom. Bharatiya Vidya Bhavan. p. 127. ASIN: B000HXEOUM. ↑ Yusuf Abbasi (1981). Muslim Politics and Leadership in the South Asian Sub-continent. 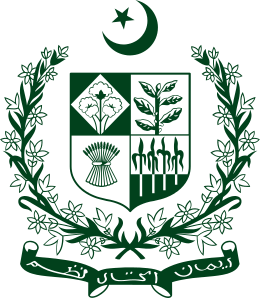 Institute of Islamic History, Culture, and Civilization, Islamic University (Islamabad). p. 90. ↑ Shahabuddin, Syed (13 May 2011). "Urdu in India: victim of Hindu nationalism & Muslim separatism - i". The Milli Gazette. Retrieved 9 March 2012.